The Mens Wander Jacket from Icebreaker is a sleek, stylish and incredibly versatile merino fleece jacket that makes the ideal addition to any cold day around town or abroad, makeing it a winter wardrobe essential. 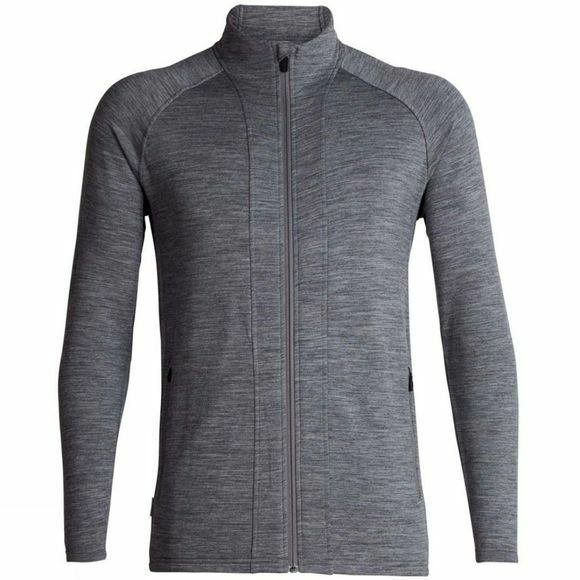 The Wander features a super-comfy brushed fleece fabric that combines merino wool, nylon and Lycra for the optimal combination of warmth, breathability, durability and stretch. The full-zip design makes for easy layering and adjusting to changing temperatures, and two front zippered hand pockets keep your phone and other small essentials secure.